Whether you are a young person or a senior, one thing you cannot avoid is cleaning. And one of the most important appliances in this endeavor is a vacuum. Today, we look at the 10 best lightweight vacuums for seniors in 2019. While some older people are still quite strong, most individuals in this category are not. Pushing, pulling or carrying a 20-pound vacuum may be quite a challenge, especially if there are stairs involved. So, this is one of the main factors to consider before selecting a particular vacuum. As the title of this article suggests, we have selected lightweight vacuums that should be convenient for any senior. Actually, the Dirt Devil Simpli-Stik only weighs about 4 pounds. Yes, this is related to the weight of the item, but not entirely. A vacuum may be light but still difficult to pull or push as you clean. A vacuum with a swivel head, for example, is way easier to use that one without. Also, if your vacuum of choice is a bit heavy, then it should have a “self-propelling” capability. This makes the vacuum feel lighter as you push or pull it over the floor/carpet. A bulky vacuum may prove quite a challenge to store. So, consider buying a compact vacuum. Also, some vacuums come with wall-mounts where you just hook the unit and any tools after use. This makes it even better. If you’re going to buy a corded vacuum, I would propose that you get automatic cord rewind. A vacuum with a retractable cord saves time and also makes storage a breeze. Vacuums are meant to pick up dirt, debris, hair and other dirt effectively. Nobody goes to buy a vacuum cleaner for aesthetic purposes. So, you should not compromise on suction power. Even if the vacuum is light and small, it should be strong enough to get the job done. 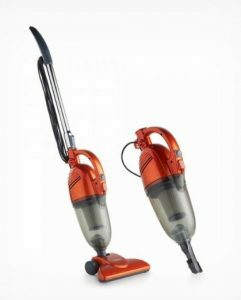 In this review, we have hand-picked vacuums that give you enough power while being light enough to use. For those fighting allergies and asthma attacks, a vacuum that uses HEPA filtration is preferred. HEPA filters are known to capture particles as small as 0.3 microns. Up to 99.97 percent of allergens such as pollen, dust, and dust mites are captured and trapped inside the unit. In some vacuums, you find that the switch is near the bottom. This is a challenge for anyone struggling with back pains. Ideally, the on/off switch should be placed on the handle or anywhere near the top. Remember to always confirm this before buying the vacuum. Always ensure that the vacuum of your choice is suited for your home. There are vacuums that do well on hard floors while others are ideal for carpets. A few are capable of handling any floor type with ease. Also, not all vacuums can pick up pet hair and dander efficiently. How do you know which vacuum is perfect for your flooring? By reading reviews such as this, you will have a good idea if a particular vacuum can handle your floor or any pet messes. Corded vacuums give you the option of cleaning for as long as you want. The only limitation is the power cord length. Always ensure that you buy a unit whose power cord is enough to cover your floors. Otherwise, you may have to keep changing the power outlet or use an extension cord. On the other hand, cordless vacuums are limited by how long the battery charge can last. However, they give you the freedom to move as far as you want as you clean. This does not determine how effective a vacuum is. However, each type has its merits and demerits. Bagged vacuums store dirt in a disposable dirt bag. Once it the dirt reaches the maximum level, you just need to replace the bag. This is however expensive and may also be challenging for some seniors. Bagless vacuums, on the other hand, store dirt in a cup of some sorts. Once the cup is filled up to the max level, you just need to hold it over the trash and press a release button to empty. However, if this is not done carefully, dust may blow onto your face. A good vacuum should be accompanied by a reliable warranty and dependable customer service. Always ensure that you know exactly what is covered by the product’s warranty and for how long. Also, check buyers’ feedback about how the manufacturer handles customer complaints. This will help you to make a decent decision. Even though this Oreck vacuum is listed as “Commercial” it is still ideal for seniors. This is especially due to its ergonomic design and the fact that it is so light. It weighs about 8 pounds and should be very easy to use. Talking of its ergonomic design, this vacuum has received an Ease-of-Use Commendation from the Arthritis Foundation. This can be attributed to its innovative Helping Hand handle and the convenient on/off switch location (on the handle). Apart from its weight, expect a powerful performance of a commercial vacuum. It has a strong motor and dual helix brushes that rotate at 6,500 RPM. Also, transitioning from carpets to hard floors is a walk in the park thanks to automatic height adjustment. Cleaning the edges of the room is also not an issue because of the edge-cleaning brushes. 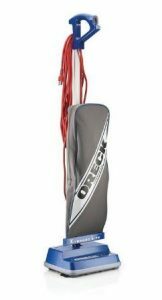 The Oreck Commercial XL is a bagged vacuum. While you will need to buy new bags occasionally, the process of changing them is a breeze – even for senior citizens. Most seniors do not have to deal with heavy messes, especially if cleaning is done on a regular basis. Therefore, the need for a super-machine is usually almost nonexistent. This VonHaus vacuum has a 4.5-amp motor, whose power is enough to clear regular dirt. Most people prefer this vacuum over many expensive units because it is effective despite being very compact and light. Another amazing thing about this vacuum is that is can be easily converted to a hand vacuum for quick cleanups. Also, it uses HEPA and sponge filtration which is perfect for anyone fighting allergies and asthma. HEPA filters ensure that allergens such as dust, pollen, and dust mites are not blown back into the air. 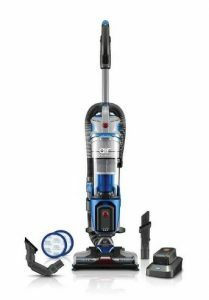 While this vacuum may make a good attempt at cleaning carpets, it’s is best suited for hard floors. You also get a brush attachment and a crevice tool for above-ground cleaning and to target hard-to-reach cracks and crevices. The vacuum is bagless, but its dust cup is very easy to empty and clean. This is one of the latest Shark vacuums to grace the market. It is very light yet powerful enough to get rid of dust, dirt and other debris from all floor types. It can also handle pet and human hair with ease. Moreover, it can be easily converted into a handheld vacuum at the touch of a button. Unlike most vacuums where the brushroll gets tangled with hair, the ZS351 uses an innovative Zero-M anti-hair wrap technology. Any tangled hair is continuously removed from the brush roll as you vacuum. So, you no longer have to use a pair of scissors for this purpose. Also, the floor head has LED lights to help you see any dirt hiding in dark corners. The vacuum also has an advanced swivel steering capability. So, it is quite easy to maneuver around obstacles such as seats and tables as you clean. This is music to the ears of anyone looking to find the best rated vacuum for seniors. Lastly, a long power cord allows you to clean large rooms without worrying about switching power sockets. If you are looking for a cordless stick vacuum, this is the best option. It is very light yet very powerful. Also, the battery life is long enough especially if vacuum cleaning is not a once-in-a-blue-moon endeavor. 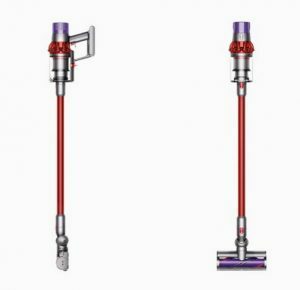 Whether you have carpets or bare floors, this Dyson gets the job done. It is great with pet hair too. Compared to the previous models (Dyson V6, Dyson V7, and Dyson V8), this one uses the Dyson V10 digital motor. This motor generates strong, fade-free suction. You can get up to 60 minutes run time on the lowest setting. However, on average, the battery lasts around 20 minutes. A HEPA-standard a fully-sealed filtration system is in place. This captures particles as small as 0.3 microns. So, allergens such as pollen and dust are prevented from getting back into the air. Lastly, this stick vacuum also has 2-in-1 functionality. At the push of a button, you can quickly transform it into a handheld vacuum. Using the available accessories, you can clean every nook and cranny in the house. These attachments include a combination tool and a crevice tool. Most uprights are heavy and would be a challenge for seniors. So, we went all out in search of some of the lightest yet effective upright vacuums in the market. If you prefer uprights, the Shark Navigator NV105 is the best option in this category. It weighs just over 10 pounds. Despite being smaller than other Shark Navigator vacuums, the performance is not compromised in any way. Thanks to the brushroll shut-off feature, you can easily transition from carpets to hard floors and vice versa. Also, if you own a cat, a dog or any other pet, you no longer have to worry about cleaning pet hair and dander. Lastly, there are attachments that allow you to clean above-ground areas and tight spots. These include a combination crevice/dusting brush and an upholstery tool. Hoover has become a household name when it comes to stick vacuums. 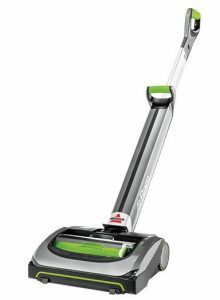 And the BH50010 comfortably earns a place in the best lightweight vacuum for seniors category. Not only is it light and easy to use, but it is also quite effective in picking up all kinds of dirt. This is thanks to Hoover’s WindTunnel technology. Please note that cordless vacuums allow you to clean for a limited time before the charge runs out. However, this unit uses a strong lithium-ion battery system to ensure that the suction is fade-free from start to finish. Also, you can purchase an extra battery for more convenience. Versatility is the name of the game when it comes to this stick vacuum. You can clean all kinds of surfaces ranging from carpets to hard floor. Also, edge cleaning bristles allow you to pick up dirt on the edges. The power controls are at your fingertips making it very convenient. Also, there is a “fuel gauge” that lets you know how much battery life is left. You can also check the Hoover BH50020PC Linx Signature Cordless Stick Vacuum Cleaner which is almost similar in functionality. A vacuum for seniors must be light, easy to use, and easy to empty and clean. Most of all, it should be able to actually do its job – picking up dirt and debris. Unless you are specifically looking for a corded vacuum, the Bissell Air Ram ticks all the necessary boxes. Whereas a lithium-ion provides powerful fade free suction, the charge cannot last for a very long time. The manufacturer promises about 30 minutes run time, but this may not always be achieved. You can buy an extra battery if you will be cleaning large rooms. As expected, this vacuum is very light and has swivel steering. So, it is very easy to maneuver around as furniture as you clean. The floor head also has bright LED lighting that illuminates the floor so that you can see dirt even in dark corners. Storage is also a breeze because the vacuum is quite compact and its handle is collapsible. Also, the dirt cup is easy to empty and clean once it reaches the maximum capacity. This is another fantastic upright vacuum for seniors. However, it is a bit heavier than the Shark Navigator NV105. It weighs almost 2 pounds more. Also, it is cordless, unlike the NV105 which has a 25-foot power cord. Nonetheless, the performance aspect is not in question. Hoover’s WindTunnel 3 technology helps to agitate deeply embedded dirt from the floor or carpet before it is powerfully sucked into the vacuum. This is made possible by a LithiumLife battery technology which provides up to 50 minutes of fade-free suction. The vacuum also has the “boost mode” in case you have to deal with tough messes. Also, it is very easy to clean both hard floors and carpets. You just need to press the brushroll on/off switch. It also has a few attachments that include a 2-in-1 dusting and crevice tool and a pivoting dusting tool. Trust me, you won’t find a better vacuum for just under $30. Despite the modest price, this Dirt Devil vacuum is one of the best for seniors. This is down to the fact that it is compact, lightweight and strong enough to get the job done. Granted, it is quite effective for light duties but it’s not the best for heavy-duty cleaning. At just 4 pounds, this is the lightest vacuum in this list. This makes it very easy to use and store. Also, it has an onboard crevice tool so that you can clean every nook and cranny in the house. You can also convert it into a handheld vacuum for quick cleanups. While this vacuum is not the best for carpet cleaning, it does a good job on hardwood, tiles and area rugs. What if you don’t have to lift, push or pull a vacuum? For me, that would be the best solution for seniors. A vacuum that gets the job done without any manual intervention is a dream come true. And some vacuum companies have come up with the perfect answer – robot vacuums. They are especially good vacuums for seniors with arthritis. 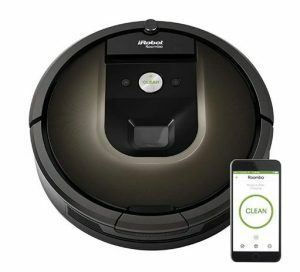 One of the best robotic vacuum manufacturers is iRobot. Over the years, the company has made several models that include the Roomba 650, Roomba 690, and Roomba 890. However, the Roomba980 trumps them all when it comes to performance and versatility, albeit at a much higher cost. You need to fork out almost 1,000 bucks to take one home. The iRobot Roomba 980 uses a navigation system to map out and clean the entire floor. A complete sensor suite enables it to avoid obstacles, cliffs, and stairs. So, it is rare to find it stuck under furniture or having fallen off. Amazingly, it can clean for up to 120 minutes before depleting the charge. It then automatically returns to its charging station before returning to work. When it comes to setting it up to clean, there are several options. Using the iRobot HOME App, you can clean immediately, schedule, or customize cleaning tasks. You can also issue commands to the gadget using Google Assistant or Amazon Alexa. This robot is comfortable with all types of flooring as well as pet hair and dander. Advanced dirt Detect technology enables the robot to put more emphasis on dirtier areas of the floor. Also, it uses an AeroForce high-efficiency filter to capture up to 99 percent of allergens. Identifying the best vacuum is usually very difficult, let alone one for seniors. The perfect vacuum for seniors must be light, easy to maneuver, use and store. Most of all, it must possess enough power to pick up dirt – that the vacuum’s job anyways. I hope that this article makes it easier for you to pick the right vacuum. There are many terms used to refer to older people in society. These include elders, the elderly, senior citizens, and old people. After wide consultations, we felt that while there’s no particular term that is 100% acceptable, “seniors” gets more approval. That is why we chose to label this particular article as “the best lightweight vacuum cleaners for seniors”. The alternatives would have been “best lightweight vacuum cleaners for senior citizens” or “best lightweight vacuum cleaners for elderly people”.